Welcome to Day 5 of the 12 Days of Holiday Inspiration Blog Event brought to you by "The Inspiration Crew". We’re a group of online crafty blog friends who love being creative. This time we're doing a 12-day event to provide you with tons of Holiday Inspiration. This card is yet another of my Church Christmas cards. 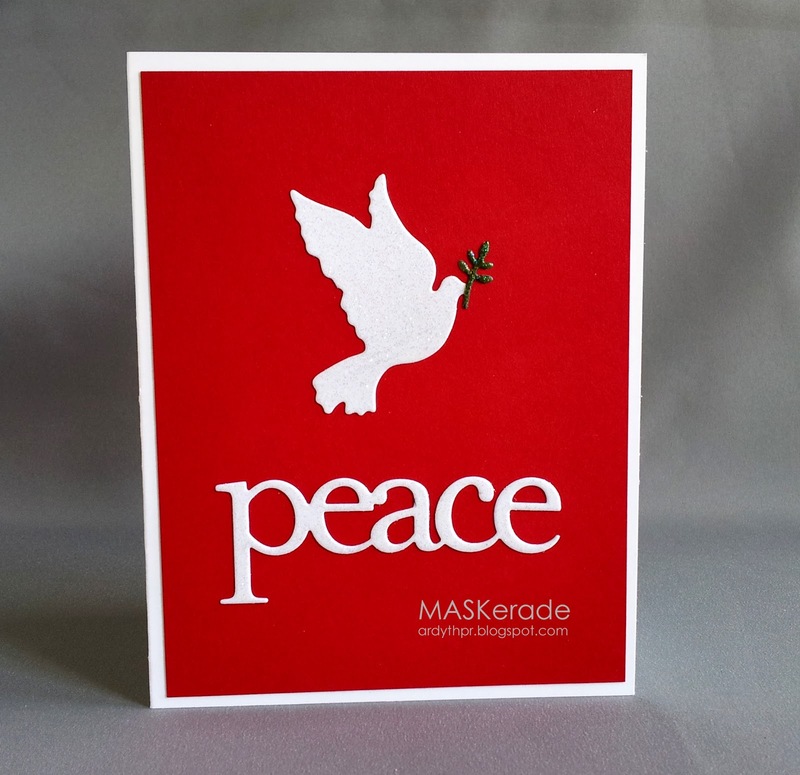 I love how festive red and white look together and I cut this Savvy peace die and a dove die (can't figure out where I got it! - updated November 20, 2015 - it's a Die-Versions die), embossed them with iridescent embossing powder for some sparkle and laid them onto a bright red panel. Be sure to visit all the ladies playing along each day for loads of fun Holiday craft ideas. Love the traditional Christmas colors Ardyth. Beautiful card Ardyth! I have the peace die too but don't recognize the dove...thought memory box but their's doesn't have a branch. Gorgeous card - love the CAS look and the dove. Wow, this is striking in red and white. Traditional, but CAS all the way! I usually see doves done with blue but I must say I like this better. So bright and Christmasy, Ardyth. The dove is awesome. This is a wonderfully beautiful card. Elegant and stunning! This card takes the R & W combo waaaaaaay past Santa's duds! So so pretty...Love that beautiful shade of red with the white.